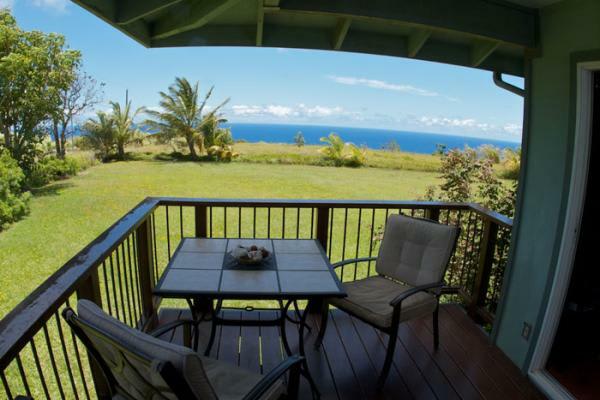 Private Vacation Rental/ Bed and Breakfast on North Shore, for your Maui vacation - located on a quiet street on the ocean side of Hana Hwy in Haiku. About 15 miles from the airport and half mile towards the ocean off the Road to Hana, along the north shore in Upcountry Maui. 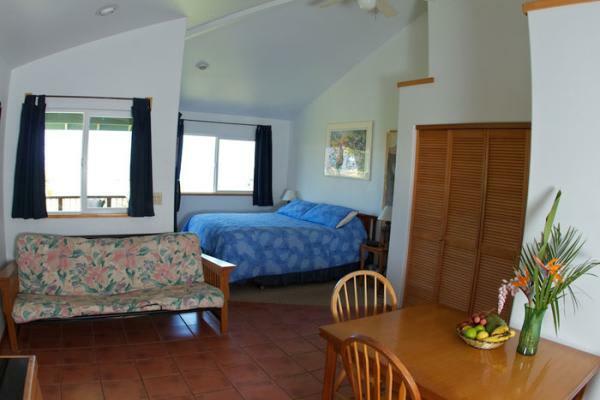 A choice of three vacation rental studios with spectacular views of the Ocean and Haleakala. 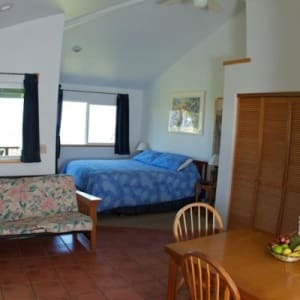 This Bed and Breakfast is set on a beautiful and private two acres property with tropical fruit trees, plants and flowers for a true Hawaiian experience. Windsurfers will enjoy storage space for their gear as well as the view allowing them to check the days conditions from their living room. 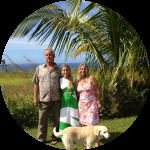 Affordable experience with all the comforts of home and only minutes from beaches, many waterfalls, shopping, hiking trails, surfing, whale watching, Hawaiian Ruins, Taro loi's. Haleakala is an easy drive from Haiku. World Famous Windsurfing, Kiteboarding and Surfing beaches, Jaws, the famous Big Wave, is close to our property. The big orchard at the back of the yard is for guests use as well as the herb gardens. You will enjoy all the tropical fruits and fresh squeezed juices from mango trees, lychee, lime, papaya, grapefruit, bananas and more. The two fully furnished studios - Windward Studio & Leeward Studio - are side by side in a private cottage, totally separated from the main house. The House Studio is on the first floor of the main house. Please click the links above to explore individual units as well as view pictures and rates.